Dhaka, Aug 29 (Just News): Noted photographer Shahidul Alam has moved a petition with the High Court seeking bail in a case filed against him under Information Communication Technology (ICT) Act. The High Court may hold hearing on the bail petition next week, Barrister Sarah Hossain, said a lawyer for Shahidul Alam, today. Citing from the bail petition, Barrister Sarah told The Daily Star that petitions were filed with the lower court concerned seeking bail for Shahidul for two times but the court has refused to grant him bail in the case. 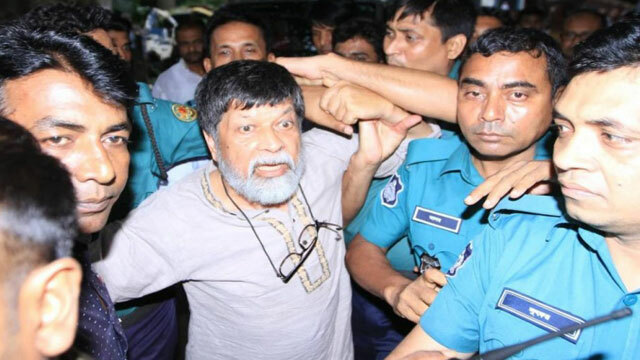 Shahidul then submitted the bail petition to the High Court on Tuesday. The bail petition was included in today’s hearing list of the HC bench of Justice Md Ruhul Quddus and Khandaker Diliruzzaman. But the bench today said that they would hear the bail petition next week.